The table asks the question 'what does the term "a good wood joint" mean?'. The French Lock becomes the starting point to an adventure aming to create a table without screws. 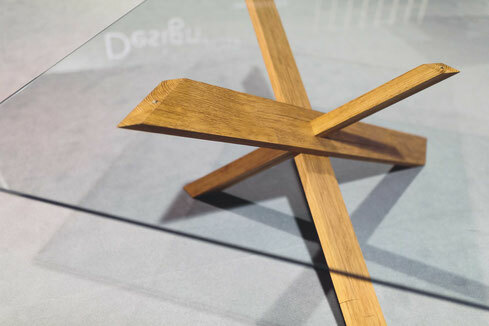 Five interlocking pieces of wood join to create a table underconstruction, putting the aesthetics of construction on display.